Nothing. I just wanted to use that headline. 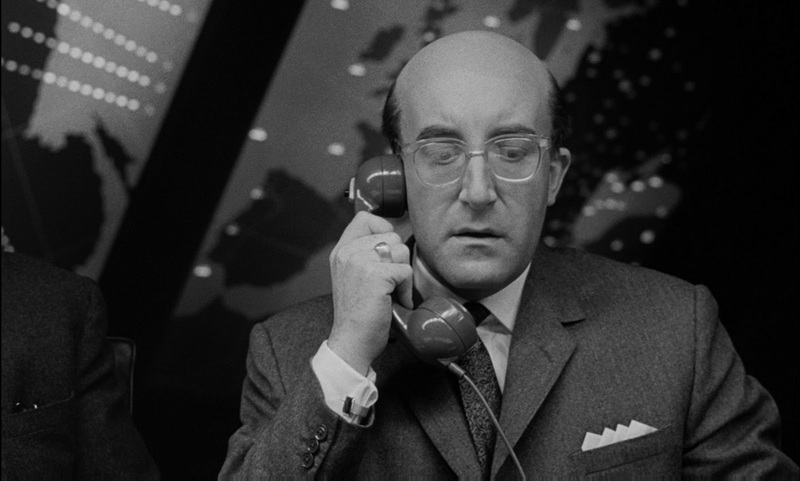 Do you remember in the movie, when Peter Sellers as the President has his phone conversation with the Soviet premier? Hello? Hello, Dimitri? Listen, I can’t hear too well, do you suppose you could turn the music down just a little? Oh, that’s much better. Yes. Fine, I can hear you now, Dimitri. Clear and plain and coming through fine. I’m coming through fine too, eh? Good, then. Well then as you say we’re both coming through fine. Good. Well it’s good that you’re fine and I’m fine. I agree with you. It’s great to be fine. laughs Now then Dimitri. You know how we’ve always talked about the possibility of something going wrong with the bomb. The bomb, Dimitri. The hydrogen bomb. Well now what happened is, one of our base commanders, he had a sort of, well he went a little funny in the head. You know. Just a little… funny. And uh, he went and did a silly thing. Well, I’ll tell you what he did, he ordered his planes… to attack your country. Well let me finish, Dimitri. Let me finish, Dimitri. Well, listen, how do you think I feel about it? Can you imagine how I feel about it, Dimitri? Why do you think I’m calling you? Just to say hello? Of course I like to speak to you. Of course I like to say hello. Not now, but any time, Dimitri. I’m just calling up to tell you something terrible has happened. It’s a friendly call. Of course it’s a friendly call. Listen, if it wasn’t friendly, … you probably wouldn’t have even got it. The source of the comedy is that he is SO reasonable, so measured, so like a supremely patient elementary school teacher in his effort to calm the drunken Russian. Deferential. Diffident. Studiously unprovocative. This entry was posted in Donald Trump, Movies, Popular culture, Social media on August 11, 2017 by Brad Warthen. “what a week” indeed, and I think you wrote that even before any of the Charlottesville events. In Brad’s world every real event took place already in a Hollywood film. If it didn’t, it should have.